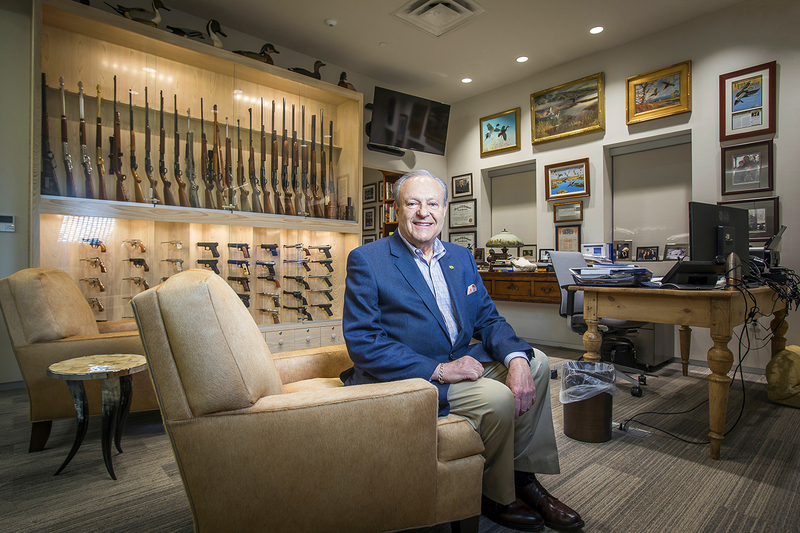 Richard A. Lipsey sits at his Baton Rouge office located off Exchequer Drive. The former head of Louisiana’s higher education board is calling for the resignation of LSU President King Alexander. 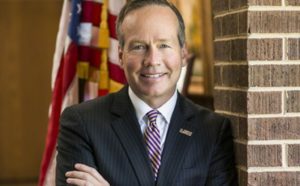 In an opinion blog piece posted online March 15, Richard Lipsey, who served as chairman of the Louisiana Board of Regents from 2016-2018, blasts Alexander for his “lack of leadership” at LSU on recent athletic controversies, scandals within the Greek system and a new holistic admissions policy that takes effect this year. “As we move from one scandal headline to another, we have now passed the point where the Board of Supervisors must remove King Alexander and began the search for a qualified Flagship leader,” Lipsey writes in his editorial, which was widely circulated via email, and posted to the websites of an organization he founded in mid-2018, Put Louisiana First, as well as to the Put Louisiana First Facebook page. Lipsey’s complaints are rooted in his displeasure with another controversial administrator at LSU, Athletics Director Joe Alleva. Though Alleva was hired five years before Alexander came to LSU, Lipsey blames them both for bungling the “leaked courtship” of Jimbo Fisher to be head football coach in 2015, the “un-firing of Les Miles” later that season, and, more recently, the decision to suspend Will Wade, the university’s first winning basketball coach in more than a decade. Wade was caught on a wiretap in a federal probe into illegal college recruiting practices, though there have been no allegations of wrongdoing or charges brought against him. “There should be no delay in replacing (Alleva) immediately with a respected interim like Skip Bertman,” Lipsey writes. Lipsey also faults Alexander for the way the university handled the hazing death of Phi Delta Theta pledge Max Gruver in 2017 and the more recent arrests of nine DKE members for hazing and battery. Finally, Lipsey blames Alexander for failing to address capital needs like a new library, and for pushing a new admissions policy that evaluates applications more subjectively and gives less weight to ACT scores. Lipsey says he has had more than 104,000 views on the Put Louisiana First Facebook page and received several dozen emails voicing support for his position. Daily Report could not independently verify his Facebook metrics. LSU declines to comment. Board of Supervisors Chairman James Williams, a Metairie attorney, did not return a call seeking comment in time for publication.